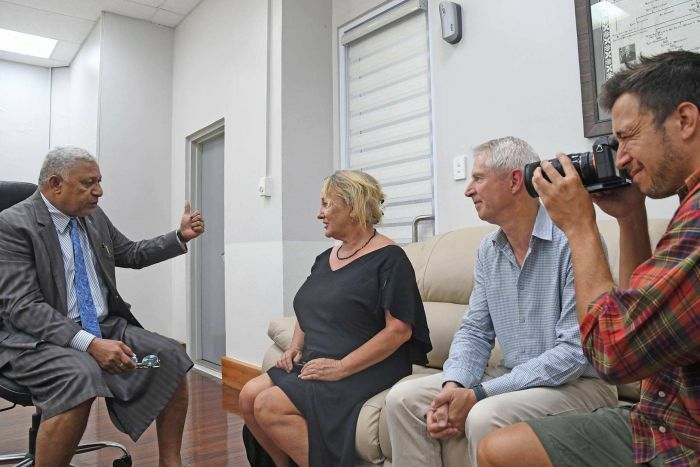 Three New Zealand journalists who were arrested on Wednesday and spent the night on the floor of a Fijian police station have received a personal apology from Prime Minister Frank Bainimarama. 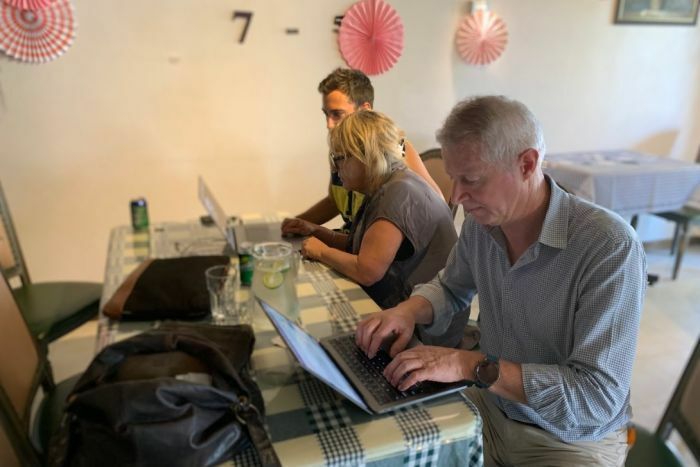 The co-editor of the Newsroom website, Mark Jennings, was detained alongside investigations editor Melanie Reid and cameraman Hayden Aull after being denied an interview with the director of the Chinese company Freesoul Real Estate at its offices in the capital, Suva. 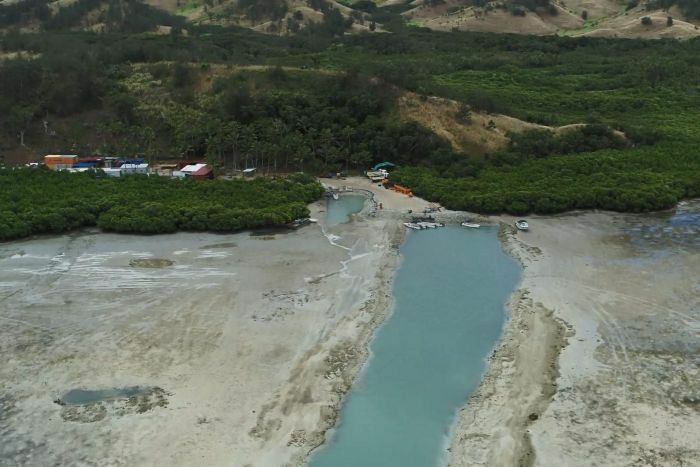 Fiji’s Government has accused Freesoul of damaging the environment and ignoring court orders in its development of a luxury resort on Mololo island. 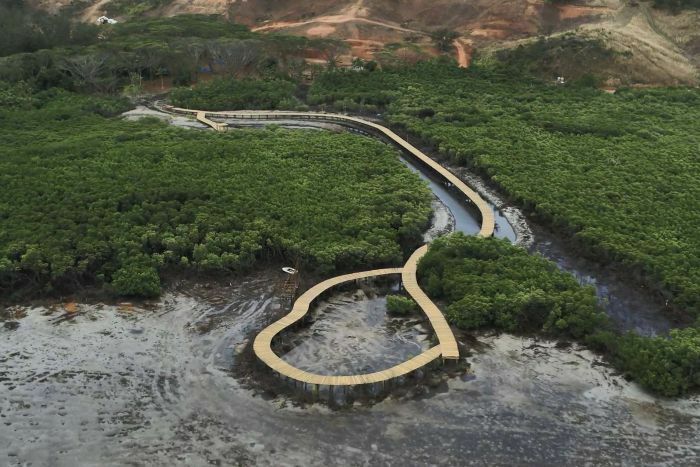 The three journalists were investigating the allegations of extensive environmental damage on the island. “The experience has been completely bizarre. Last night we were arrested for ‘forced trespass’,” Mr Jennings told the ABC. The trio sought an interview with Freesoul director Dickson Peng at the company’s offices in Suva, but local staff declined to answer the journalists’ questions and asked them to leave, which they did. The ABC has approached Freesoul for comment. The journalists were later arrested and told they would be spending the night in a cell, but were ultimately directed to an empty room adjacent to the criminal investigations department with only an officer’s jacket for a pillow. While their valuables and mobile phones were taken away for a while, they were given meals and allowed to call their lawyer, and said they were treated fairly well. “We weren’t treated badly at all … it was just a case of not knowing what was going to happen. We seemed to be being kept in the dark,” Mr Jennings said. Tweet Fiji First: Fijian Prime Minister Voreqe #Bainimarama delivered a powerful statement denouncing the arrest of 3 NZ journalists who were reporting on the freesoul incident. Check out his full speech. Prime Minister Bainimarama, a prominent advocate for action on climate change, issued a strong statement calling the police actions “heavy handed”. “It should be made clear: the news media has been an ally in accountability, helping to expose the company’s illegal environmental destruction,” he said. 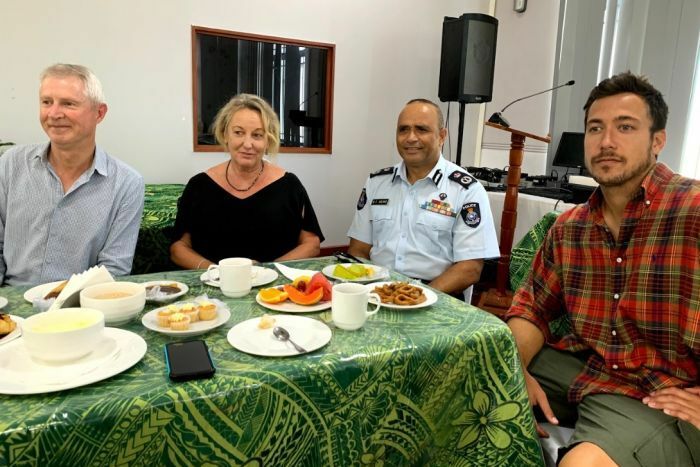 He said Fiji’s Commissioner of Police, Brigadier-General Sitiveni Qiliho, assured him “the detention of the journalists was an isolated incident undertaken by a small group of rogue officers”. “A full investigation into why these officers would use such heavy-handed tactics will be undertaken, and any violations of protocol or undue influence will be met with appropriate action,” he said. Commissioner Qiliho admitted the arrest could have been handled better and confirmed the matter would be investigated. “I was not made aware of this arrest last night and only found out this morning,” he told the ABC. The Commissioner added that his officers were duty bound to follow up on every complaint made by Freesoul. Fiji Media Association general secretary Stanley Simpson said the arrest was a “clear overreaction”. “It was shocking news that they were detained,” he said. But the condemnation from the Prime Minister in a country which has had a fractious relationship with the media in the past was a “positive”, Mr Simpson said. “It has not been a smooth ride between this Government and the media over the past decade, but today was a welcome sign,” he said. Amnesty International condemned the arrest, saying it highlighted “the shocking extent of media censorship in Fiji”. “In reality, the arrests of these journalists are the tip of the iceberg when it comes to Fiji’s intolerance of freedom of expression,” said Amnesty International’s Pacific researcher Roshika Deo. “Fiji’s government regularly harasses and arrests activists and journalists who take part in protests or express criticism of the authorities. New Zealand’s Deputy High Commissioner Halia Haddad said the New Zealand Government provided consular assistance to the reporters and did not have “specific concerns about the safety of journalists who come to Fiji to work”. “The Fiji Government responded quickly and efficiently to ensure the release of the journalists,” Ms Haddad said.